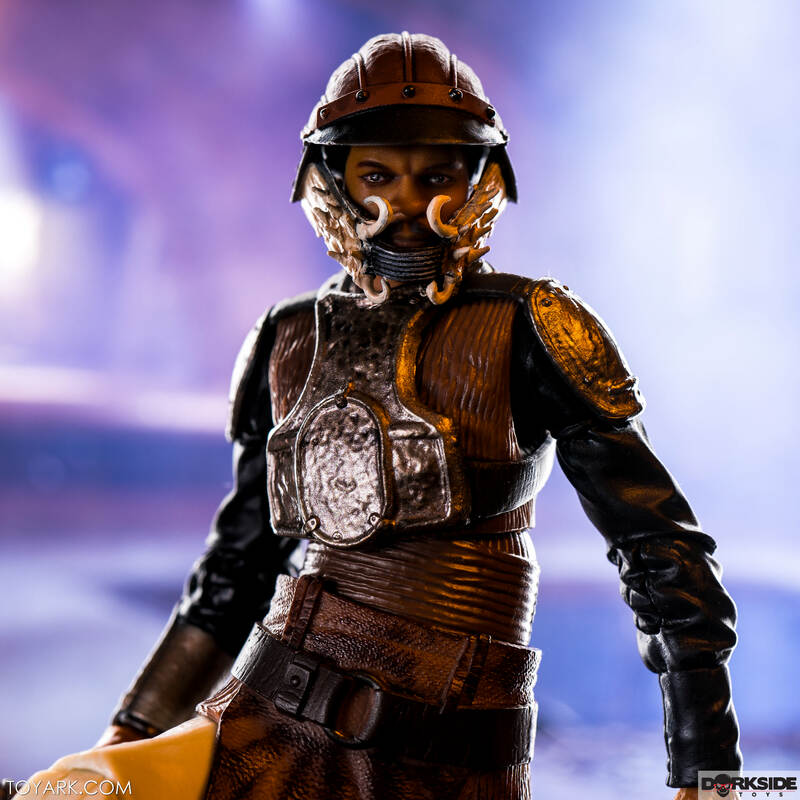 I can't wait to see how your Lando in skiff guard disguise pics turned out, those are gonna be awesome! LOL. 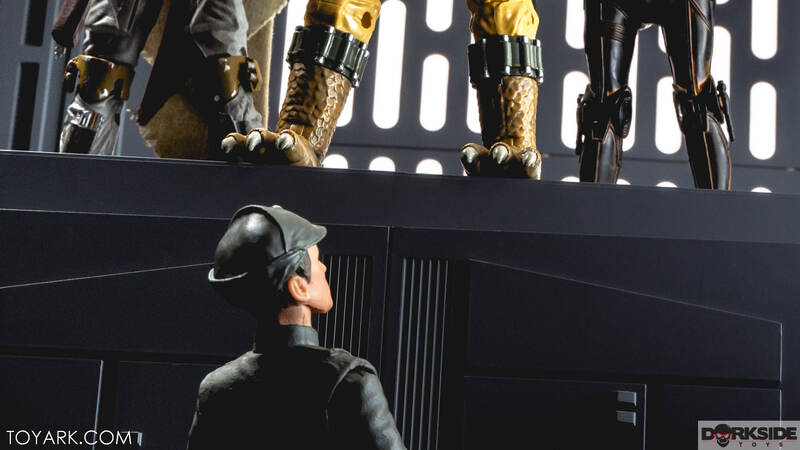 That scene recreation shot with just Bossk's feet is awesome. 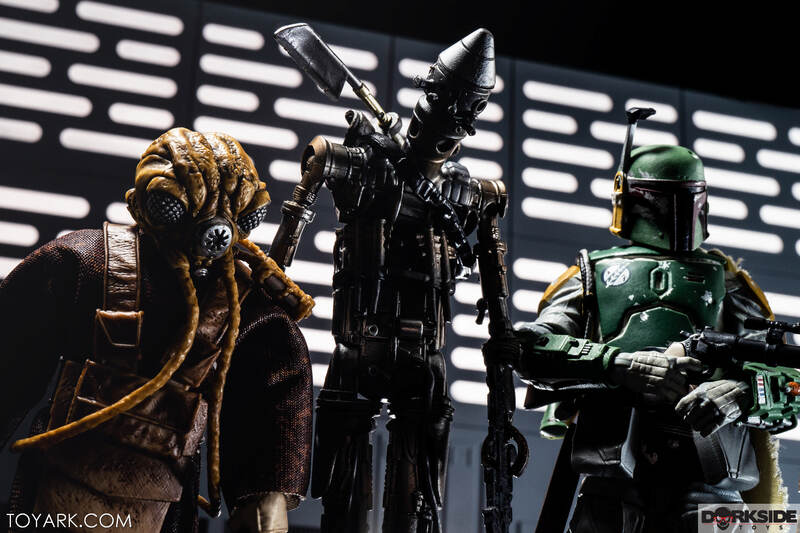 Didnt realize how small Zuckuss was in the Black Series. IG-88 and Bossk I decided to go with Artfx+ and Boba Fett Mafex. Hopefully they all look ok side by side. Hehe, no! He's looking down off the ledge. But yeah, he's loose and the legs are warped on mine. Leia and Lando are up! "Point that finger at me one more time and I'll break it off!" Tony, those pics turned out even better than I imagined. 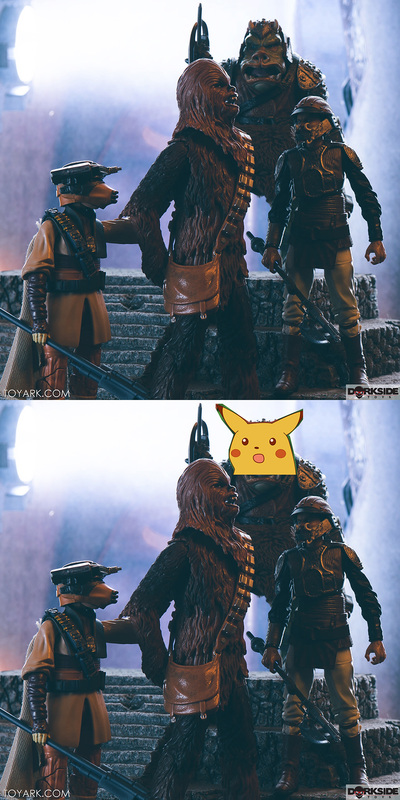 That 3rd pic of Boushh, Lando, Chewie and the Gamorean Guard is incredible. Been awesome to watch you hone your skills. My all consuming hatred of Dengar is the only thing fueling my will to live. Thanks! It's been fun trying new stuff, every shoot is a learning session. The Lando and Leia sets I used more backlight than normal and I like how it came out, gonna try that some more moving forward. Lovely work, esp on the set of the Executor in that scale. I've held off on buying some of these (cause they're pricey) but Dengar here is really well done. 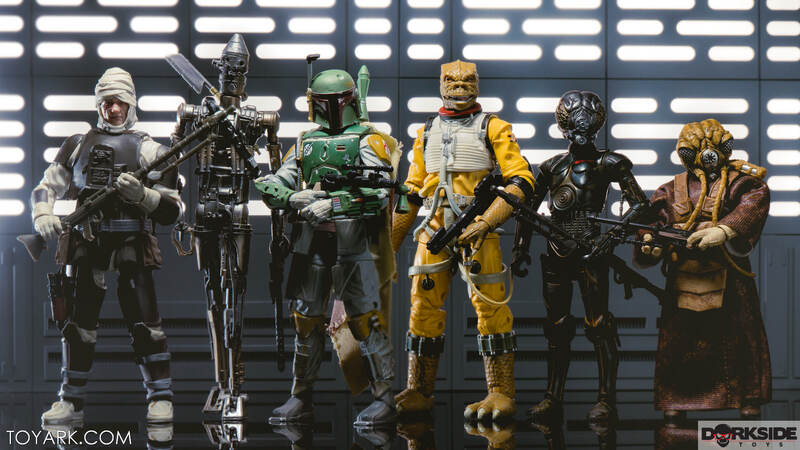 The proportions of 4-LOM's head have varied quite a bit depending on which version Kenner did over the years. I think though that in the film, his head is supposed to be a bit wider. It's hard to tell, I'd have to look at it in person. I liked the smaller 1996 version of this figure quite a bit -- that was one of my faves back in the day. Great photo-op! 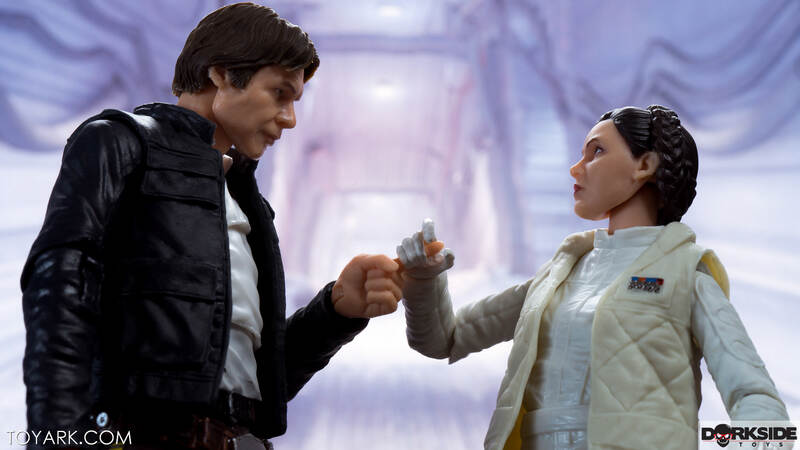 Love the figure interactions between Han and Leia. Trooper is up. Not wave 19 but just got him in hand. 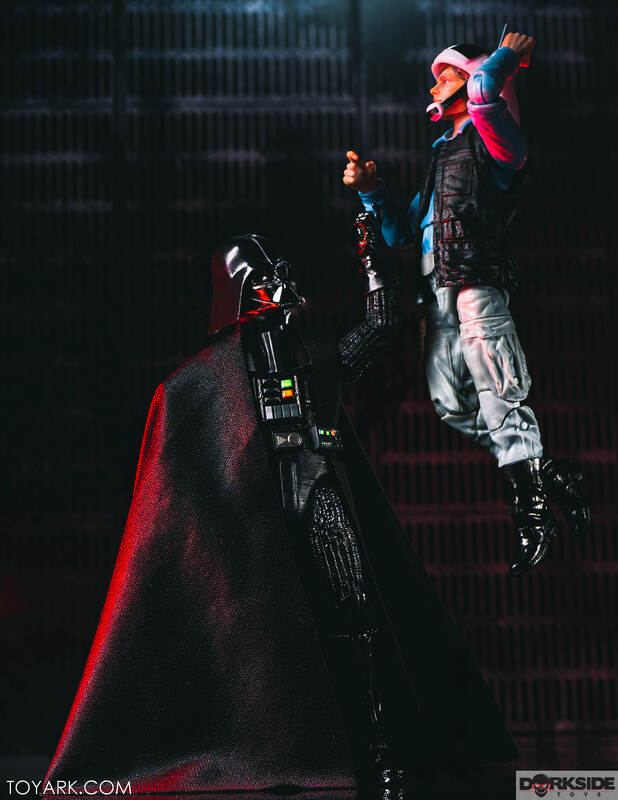 Never park in Vaders parking space.